If you are a wedding planner or a wedding photographer, the Wedding Blog templates and themes are sure to help you create an online wedding business portal with which you can make brilliant wedding themes and thereby portray a strong web presence. These beautiful and classy free blog templates are a true reflection of the special moments of love and togetherness and with their help you can create wonderful wedding themed CMS sites in a jiffy! You will simply adore this beautiful wedding template which can be easily customized to suit your wedding business needs. Adapted from WordPress with a couple of columns, footer columns, right sidebar and floral motifs the Columbus Wedding Template is excellent for creating wedding blogs. The responsive template layout is loaded with numerous styles and columns. If you design wedding dresses or intend to open an online business to sell them, the Wedding Dress template is your ideal template. This responsive layout is loaded with numerous styles and colours which you can effectively combine to come up with a customized web template for your business needs. 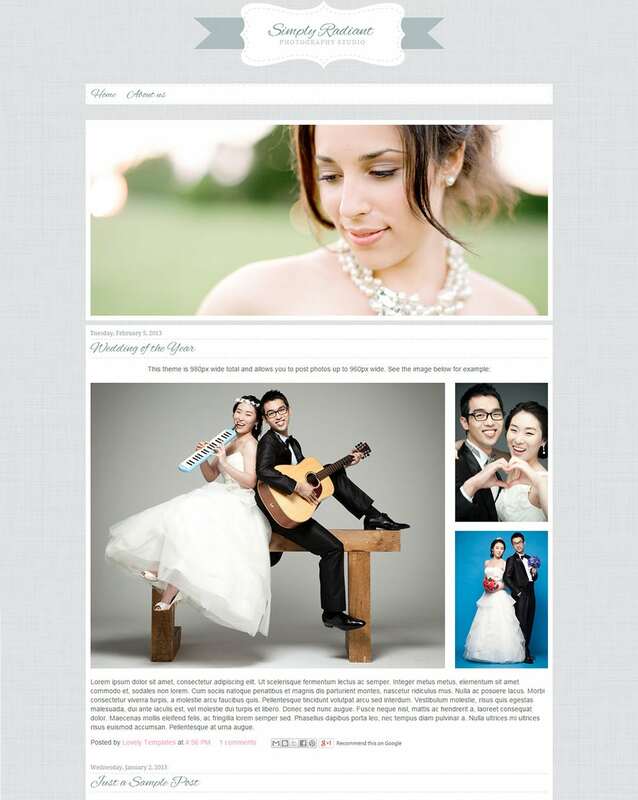 The Wedding Store template is for those professionals who prefer clean and efficient designs. Equipped with a high functioning drop down menu, the template allows users to include categories and subcategories to their site. The featured banner lets the users promote their newest designs in the form of promotions and advertisements. If you are a professional wedding blogger or simply pursue it as a hobby, the Wedding blog template is a lovely portal to write about love. The neat and elegant template with columns, life sidebar and rounded corners make for an excellent platform to publish wedding stories and gain followers across the web. Are you looking for a website which is simple yet elegant? Take a look at the Simply Radiant website template which is not only visually appealing but is equipped with a slider in the home page and beautiful typography. This template supports Blogger Template Designer feature and comes with widgetized area. The Responsive Technicolour Wedding Template is adapted from WordPress and has vectoral elements with two columns and a right side bar. If you intend to maintain an online love journal or a blog where you write about weddings and relationships, this free blogger template could be your ultimate choice. This free blogger template is fitted with a simple but trendy design and is totally responsive in it’s layout. Compatible with Chrome and IE, the Wedding Photo Frame comes with a choice of ten colours, four columns and numerous styles for you to customize it as per your requirements. 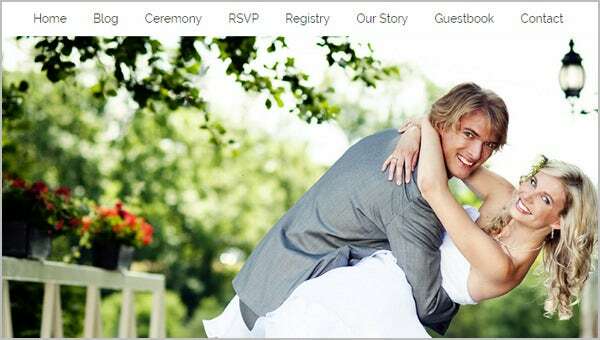 Are you planning to create a web based wedding card and invite your guests? Look no further. The Wedding Breeze responsive template is a beautiful way to design your dream wedding card online. With an array of colour and font options, you can easily customize this free blogger template and add your creativity to come up with an elegant and unique wedding invitation. The Wedding Anime template is a fun and quirky wedding theme, powered with intelligent HTML5 and CSS3 coding which not only speeds up your website’s performance but makes it compatible with all other browsers. Just add a simple short code in the page layout and the plugins are enabled instantly! This responsive ivory coloured classic template comes handy when you have lots of streamlined content to display. The touch optimization enables this template to be conveniently viewed in every screen size of the electronic gadgets. This is a great platform for new bloggers who have a penchant of writing long articles. This premium WordPress theme lets you make a collage of special wedding moments such as pre and post wedding photo shoots and lay them aesthetically on the template. Equipped with full page slide shows, countdown timers, visitor counters and auto background animations, you can watch live previews to see how your blog looks to your audience. Display your love story to your family, friends and other guests with the help of this stunning Wedding Blogger Template. You can easily synchronize your social media accounts with this theme so that photos, links and other elements from the blog can be seamlessly shared on these platforms. 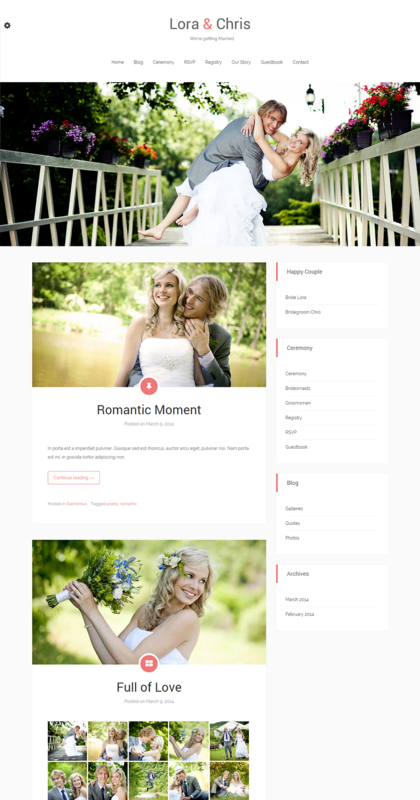 This Wedding Blogger Template is a premium WordPress theme which allows you to add photos, upload content, share elements and media, generate slideshows and even create invites for an upcoming wedding. The theme is responsive, touch optimized and can be easily linked to your social accounts which means that while you create your content here, you will have a lot of fun sharing them with your closed ones too! The interactive admin panel included with the templates allows users to easily upload content, add photos, videos and other media, generate slideshow, and even create animated invites from a single window instantly. And the templates include intelligent HTML5 and CSS3 coding that not just make the websites compatible with all browsers but also speeds up the performance of websites too, which can come in real handy when you have a lot of photos to display. The templates are also responsive and touch optimized making them a pleasure to use in handheld devices. And the templates contain social networking plugins that can get your site in action in no time. Enable options to instantly synchronize user social accounts with the website so they can easily share photos, links and other elements from the page they are viewing on sites like Facebook, Twitter, and Google and so on. Also other useful plugins such as countdown timers, full page slideshows, auto background animations, visitor counters, invite RSVPs are included with the templates as well. Enabling the plugins and other features in the template requires no more that adding simple shortcodes in the page layout. You can also view live previews of the site in the admin control panel as well.